Feb 1929: (Reuben Hollis) Fleet Aircraft Inc (pres: Lawrence D Bell), Buffalo NY. Aug 1929: Fleet Aircraft Div, Consolidated Aircraft Corp, Buffalo NY. March 1930: Formed subsidiary Fleet Aircraft of Canada Ltd in Fort Erie, Ontario (pres: W J Sanderson). 1934: Fleet Aircraft Div, Consolidated Aircraft, San Diego CA. 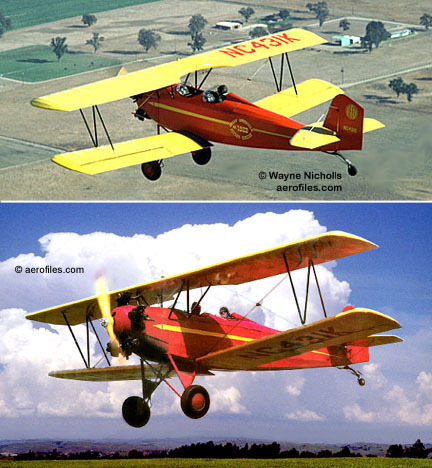 1939: Manufacturing rights of Fleet trainers in USA sold to Brewster Aeronautical Corp, Long Island City NY; Fleet Canada retained foreign rights. 1 1928 (ATC 122, 2-305) = 2pOB; 110hp Warner Scarab; span: 28'0" length: 20'9" load: 558# v: 105/88/46 range: 350 ceiling: 12,200'; ff: 11/9/28 (p: Leigh Wade) [X86E]. R H Fleet, J M Gwinn Jr, George Newman, Leigh Wade, adapted from the Consolidated 14 design. $5,750; POP: about 90. Early models had a single-hole "bathtub" cockpit. One model [X/NC643M] (as Fleet Special) with 95hp Menasco B-4 under (2-305), another modified into 2pCB with 125hp Warner Scarab [NC289H], cockpit canopies added later. 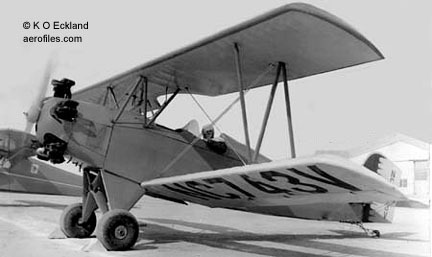 Actually in limited production 1928 before an ATC was issued in 1929, some early models were referred to as Husky Junior. 2 1929 (ATC 131, 2-235) = 2pOB; 100hp Kinner K-5 to 125hp B-55; span: 28'0" length: 20'9" load: 565# v: 105/88/46 range: 350 ceiling: 12,200'. $5,500; optional 55-gal belly tank; POP: 203, plus 16 for AAC as PT-6, 5 for USN as N2Y-1 [A8600/8601, A8603/8605] with airship-hookup trapeze on the center section to train F9C pilots, and 1 (modified as Fleet 6) as XN2Y-2 with trapeze; 13 exported to Argentina. Several were converted by Canadian Fleet as Fleet 7 (RCAF Fawn I). 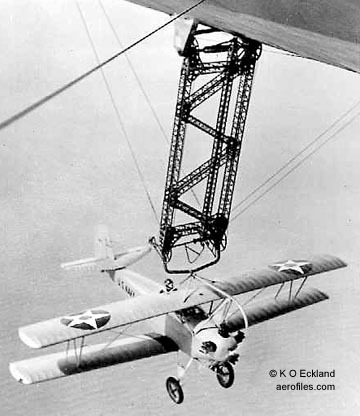 Used by Paul Mantz to set a record of 46 outside loops in 1930 [NC725V]. (2-235) replaced by (131). 2X Special 1930 (ATC 2-253) = POP: 1 conversion from Fleet 2 [NX8639]. 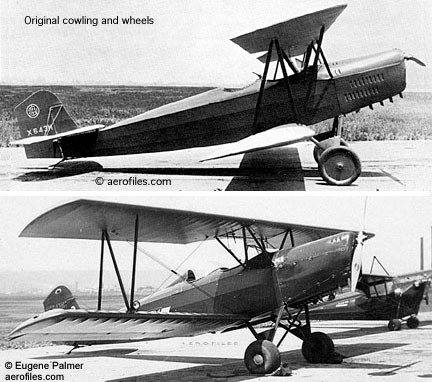 3 1929 (ATC 2-112) = 2pOB; 165hp Wright J-6. POP: 1 remotored from model 2 [C443K]. 4 1929 = 2pOB; 170hp Curtiss Challenger. POP: 1 for testing only . 5 1929 (ATC 2-152) = 2pOB; 90hp Brownback C-400. POP: 1 [C630M]. 6 1930 = 2pOB; 100hp Kinner K-5; load: 565# v: 113/95/44 range: 360. POP: 1 experimental model modified from Fleet 2, to USN as XN2Y-2 [A8602], later converted by Pennsylvania Aircraft Syndicate as XOZ-1. 7 1930 (ATC 374) = 2pOB; 125hp Kinner B-5; span: 28'0" length: 21'6" load: 594# v: 113/97/47 range: 310 ceiling: 17,000'. $4,485; POP: 48, some of which were converted from model 2, of which 2 were refitted with 120hp Phillips 333 as Phillips-Fleet 7 in 1937 [NC64VA, NC637M]. Deluxe model had 49-gal tank. Basis of XPT-6, of which 1 was civil Fleet Special for DoC [NS51]. 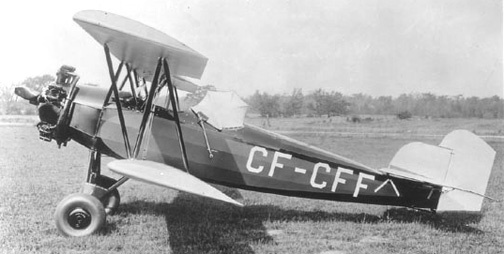 7B, 7C, 7G Fawn (Canada) 1930 = Added coupe canopy, enlarged fin. 7B with Kinner B-5, 7C with Armstrong-Siddely Civet (to RCAF as Fawn II), 7G with DH Gipsy III. [226H]. 8 1931 (ATC 428) = 3pOB; 125hp Kinner B-5; span: 28'0" length: 22'10" load: 702# v: 115/95/55 range: 420. $5,585; POP: 7 [NC49V=69V, NC68V, NC70V/71V, NC344N, NC941V, NC953V]. 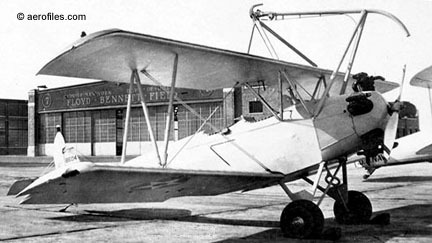 9 1931 (ATC 428, 2-337, 2-443) = 2p Fleet 8 with baggage space, and brakes in both seats. $5,185; POP: 12 [NS=NC36/37, NC65V/67V, NC345N, NC937V/940V, NC13920/13921]. (2-443) was for an EDO float conversion specific to [NC345N]. 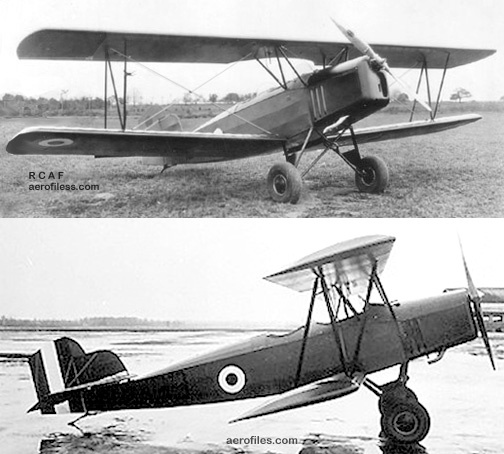 10 1930 (ATC 374) = Same as 7 with revised tail and cockpits. Intended for European markets. 10G 1934 = 2pOB; 90hp Wright-Gypsy; span: 28'0" length: 21'0" load: 698# range: 625. POP: 1 prototype [X751V], estimated production of 70, some with 130hp DH Gypsy Major (v: 115/96/47); 1 conversion from model 7 [X757V]. 11, F11 1934 (ATC 526) = 2pOB; 160hp Kinner R-5; span: 28'0" length: 21'8" load: 565# v: 124/109/48 range: 300 ceiling: 17,800'. POP: 3 registered [NC13935, NC14706/14706], others were exported. Some models had 32'0" span as F11-32. 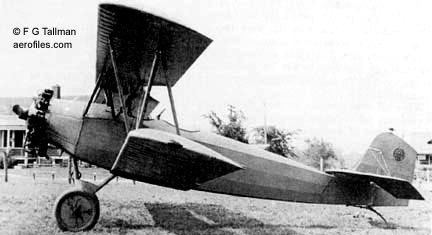 14 1929 = Model 2 with lower wing flaps for entry in the Guggenheim Safe Aircraft Competition, but failed to meet the required maximum speed of 110 mph. POP: 1. Unmodified as such, some 300 were built under license in Romania. 16B, 16D, 16F/B-1 (Canada) 1939 (ATC 2-566) = 2pCB; 125hp Kinner B-5; span: 28'0" length: 21'8" (?>22'11") load: 723# v: 122/105/52 range: 350 ceiling: 10,500'. Doubled flying and landing wires, sliding canopy. POP: more than 600 built by Canadian Fleet, some with 145hp Warner Scarab, for RCAF as Finch 16. One delivered to Consolidated Corp as 16F, who in turn sold it to Brewster Fleet, who redesignated it as Brewster B-1 [NX/NC20699]. 21, 21-K, 21-M (Canada) 1936 = Consolidated 21-C (PT-11) with 420hp P&W Wasp Jr SB built by Canadian Fleet for Mexican AF, armed with two .30 cowl guns and one flexible .30 in the observer's cockpit. POP: 10, plus 1 with 330hp Jacobs L-6B as 21-M; similar 21-K was advertised, but never built. 50 Freighter (Canada) 1939 = Bush operations. 2pCBF; two 330hp Jacobs L-6MB; span: 44'11" length: 35'9" load: 3170# v: 148/132/61 range: 650 ceiling: 15,000'; ff: 2/22/38. Twin tails; gulled lower wings, truss interplane struts. Known for its weight-lifting ability, nose-doors permitted oversized loads. POP: 5. 60 Fort (Canada) c.1940 = Advanced trainer. 2pClwM; 330hp Jacobs L-6MB; span: 36'0" length: 26'2" load: 1415# v: 182/163/58 range: 610 ceiling: 16,000'. All-metal construction except for control surfaces. 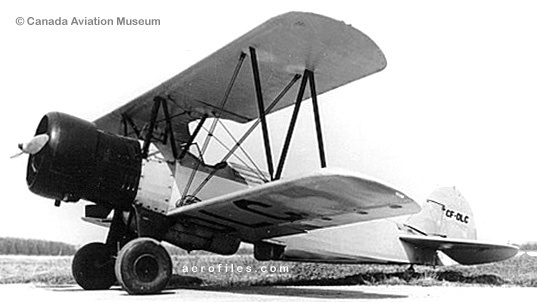 Prototype had panted wheels, but planes used by RCAF as Fort I had exposed wheels. POP: ??. 80 Canuck (Canada) 1947 (ATC 788) = 2pChwM; 85hp Continental C-85-12J ; span: 34'0" length: 22'5" load: 445# v: 112/98/45 range: 370 ceiling: 12,000'. J O Noury. Attractive lightplane looked somewhat like a Taylorcraft L-2 without a greenhouse. Evolved from Noury N-75, design rights of which were sold to Fleet in 1945. $3,570; POP: 210, of which many found their way to the US. 77 still active in Canada in mid-2002. N2Y SEE Fleet 2, 6. PT-6 - USAC version of Fleet 2, aka Husky Junior. XPT-6 1930 = POP: 1 [30-088]. YPT-6 1930 = Military modifications. POP: 10 [30-372/381]. 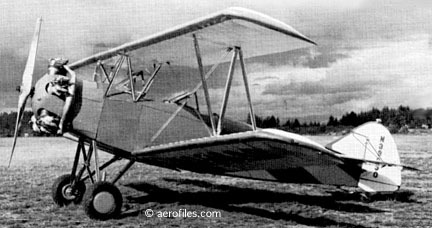 YPT-6A 1930 = Enlarged cockpits. POP: 5 [30-382/386].